We know how difficult choosing your main gear can be. As if SO many backpack brands and models aren't already making picking the right one super difficult, there are different volume options for almost every model! We were also sick of it. To unveil the absolute winner, we took 20+ most popular backpacking backpacks in today's outdoor world and compared them according to their comfort, versatility, organization, durability and weight while also including all the other factors you'll see below. And what are thooose most popular hiking backpacks we reviewed? We've been buying online for years and never had any problems. Before you buy, do make sure to check the seller's return policy, but you can almost always return an unused pack within a certain time frame and you're good. If it doesn't fit quite right after trying it on at home, you can always return! 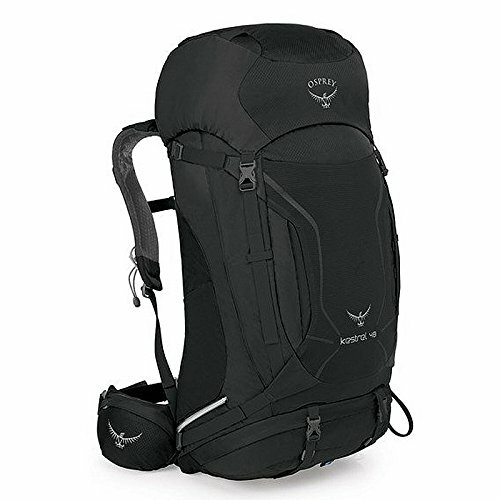 In the end, we think that Osprey Atmos AG 65 | from $206.05 is the best overall backpacking backpack you can buy in 2019. It can be used for literally any outdoor activity due to its superior suspension performance demonstrated with a variety of loads. Fit-on-the-fly hipbelt provides a secondary lid inside the belt and hence exceptional adjustability for any waist size. 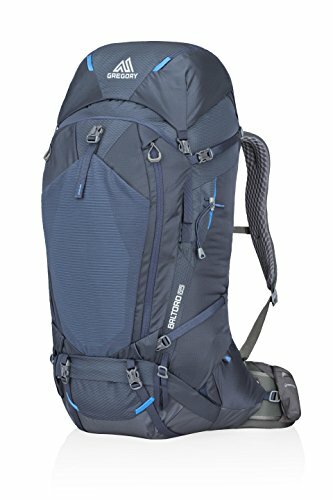 The only thing we didn't really like is that hip belt makes noise while walking with the pack as a result of its sturdy structure. But before you make up your mind, let's make sure you looked at all the facts. #Note: As you see, dimensions and volumes don't really add up. 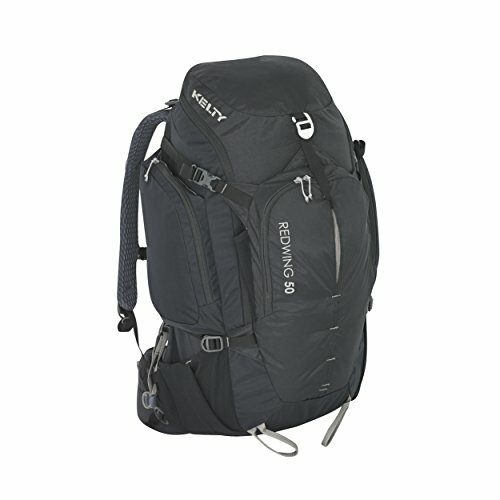 See our post Dimensional Inconsistencies of Osprey Backpacks (also applies to non-Osprey packs) to read more. But the short answer is that backpacks are made of pliable materials and hence their volume can't be measured like boxes. Stated volumes are accurate. 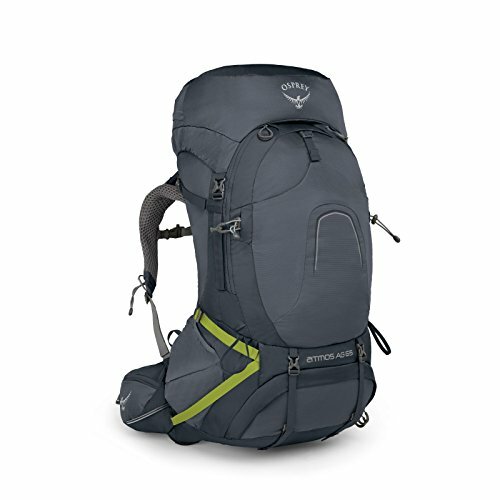 Among tens of backpacks, Osprey's Atmos AG 65 is single handedly the best backpacking pack we tested mainly because of its unbeatable comfort and very well thought out organizational features. The state of the art technology of Osprey, the AntiGravity (AG) suspension system, makes a perfect job keeping the Atmos AG 65 close to your body. Mesh foam and generous padding throughout the entire shoulder straps, hip belt and back panel feels very pleasant especially on your shoulders. AG system also delivers the load from your shoulders to your hips perfectly and hence, unlike some packs, you don't feel your shoulders being pulled down. Fit-on-the-fly hip belt provides a secondary lid inside the belt and allows you to dial in the right fit after wearing the pack! And with a very close fit you always sacrifice ventilation. Right? Atmos AG 65 turned out to be the MOST ventilated pack in the contest with its AG system and breathable mesh throughout the back panel. You might like our in-depth Osprey Atmos AG vs Aether AG comparison! In the end, exceptional adjustability and suspension of Atmos AG 65 helps you walk longer distances more comfortably without the extra exhaustion and sweat. Although the most powerful aspect of Atmos AG 65 is its superior suspension performance demonstrated with a variety of loads, it's also quite versatile even though it has less features than Aether AG 70. 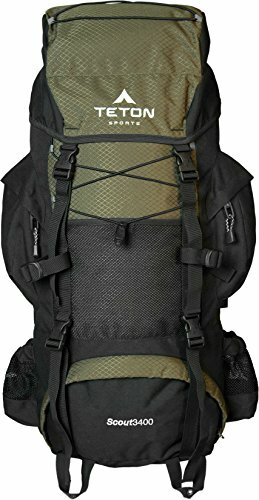 As for durability, even though the zippers, buckles, suspension system and 100D x 630D Nylon material of Atmos AG 65 stay just as new after years of use (like any other Osprey pack); it's still a relief to know that Osprey's All Mighty Guarantee has got your back just in case of any issues for any reason. We've never been very kind to their packs and experienced literally zero problems so far. This pack scored the highest in the organization department with its excellent pockets, features and multiple accesses to the main compartment. Robust suspension is extremely well designed to carry heavy loads and is now lighter with the updated 2018 model which is reviewed here. Although the super robust suspension might feel somewhat too rigid putting on Baltoro 65 the first time, it feels extremely comfortable in the long run. While hauling heavy (40+ lbs) it performed even better than the overall most comfortable pack Atmos AG 65 in this roundup. With the Gregory's cutting edge A3 response harness, each shoulder strap and hip belt are allowed to rotate freely allowing to react your body's movement during the hike. This is a unique premium feature that other contenders don't offer and additional shoulder straps and hip belt come with the pack to allow swapping between different sizes for even better fit. Shoulder straps are attached to the back panel in two different points to correspond your own shoulder width. With lumbar pad silicon overlay slippage is prevented and pack stayed more stable than other packs in this review, while ventilation was average. This pack truly excels in terms of pocket organization and is the most feature rich pack in this review along with Aether AG 70. Let's pack our Baltoro the right way! Baltoro 65 is water resistant, but not waterproof. Rain cover (included with the sale) comes inside the internal top lid zippered mesh pocket fits around the pack perfectly. We preferred storing rain cover inside the main compartment and used the mesh pocket for the items aren't needed until the hike ends e.g car keys, wallet and earphones. Stretch mesh beavertail front pocket comes handy for wet, smelly and/or dirty items as well as rain ponchos when it's cloudy. We found the two vertical front zippered pockets and two side top lid zippered pockets layered over and under each other quite roomy and perfect for any frequently used item. Right hip belt pocket is waterproof and designed to make electronics such as GPS and smart phones readily available. Though it's somewhat smaller and an iPhone 6/7/8 Plus would have a hard time fitting inside. Left zippered mesh hip belt pocket is great for snacks. When hydration sleeve inside the pack is removed it transforms to a tiny sidekick backpack. Sleeping pad straps at the front bottom of pack can be removed and attached to the sidekick pack as waist belt. Although it's a cool feature, convertible sidekick backpack of Gregory Baltoro 65 is very rudimentary with limited comfort. We liked the legit convertible daypack of Aether AG 70 much better. Despite this perfect organization, if you still desperately need something at the middle of the pack, no need to worry. You don't have to dig through all the items from top or bottom opening since U-shaped front access makes all your items inside the main compartment easily accessible - which we found extremely useful. Finally, there are plenty of external attachment loops to carry more gear such as sleeping pad, ice axe and trekking poles. In the end, Gregory Baltoro 65 is an excellent heavy hauling pack with tons of features which allow using it during a very broad range of activities. 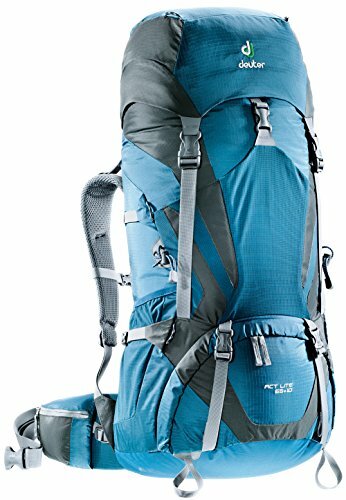 This pack is absolutely the best choice for those who'll be hiking with lots of heavy items. In other words; those who'll be hiking mostly with their kids, pets, during the winter or for very long time (5+ days). Aether AG 70 felt very similar to Gregory Baltoro 65 in terms of comfort and suspension. At heavier weights (40+ pounds), Aether AG 70 feels more comfortable than any other pack we tested, including Baltoro 65. Our only problem with Aether AG 70 suspension was that due to hard-framed, rigid peripheral frame specifically designed to carry heavy loads, when not full and relatively lighter, it wobbles and loses out on comfort. AntiGravity (AG) Suspension System used in Osprey Atmos AG 65 is identical to Aether AG 70. However as Atmos AG 65 fits and adapts to the wearers body exceptionally well and offers somewhat cushier feeling, Aether AG 70 cannot provide the equal back ventilation. Adjustability of Aether AG 70 is similar to other packs: a velcro attached to the back panel offers harness slippage and adjusting to torso height accordingly. What makes this pack stand out is the 4 different size options available to ensure even further fit. Along with Baltoro 65, Aether AG 70 is the most feature rich product in this review. Most convertible daypacks (also referred as summit pack or sidekick backpack) seem like a very cool idea in theory but fail hard in practice. On the other hand, when you remove the top lid of Aether AG 70 and unzip the top pocket; it transforms into a legit, super comfortable daypack with two different compartments and external gear attachment loops. Far better than the sidekick backpack of Gregory Baltoro 65. Despite flawless suspension and comfort demonstrated at heavy weights, legit convertible daypack of Aether AG 70 is another reason why it's the top pick for those who'll be hiking with their kids, pets or lots of heavy items. IsoForm custom heat moldable hip-belt is heated and molded to your hips at a CM Certified Osprey dealer anywhere nearby. We're told that remold is possible up to 3 times due to drastic bodyweight changes but honestly any hip belt of any pack is compressed and molded to your hips naturally - molding method is just to speed up the process and a demanding one. You'd be completely fine skipping it as well. See our in-depth Osprey Atmos AG vs Aether AG comparison! We found the rare feature front access to the main compartment very useful when you need an item stuck in the middle. We had zero problems with many external gear attachment loops, buckles, zips and compression straps. Mesh water bottle holders at sides allow horizontal installment as well (in addition to vertical installment) allowing stowing without having to take off the pack. In the end, this pack excels in terms of features, organizational capacity and heavy hauling performance. For durability, it's a true relief to know that Osprey's All Mighty Guarantee has got your back just in case of any issues for any reason. Now you can stop worrying about the pack completely and enjoy your time outdoors! If you're that person prefers more room over organizational pockets and features, Deuter ACT Lite 65+10 can be a great choice for you. Well German-engineered harness and suspension provides premium comfort especially on the ridiculously stout hip belt. It covers all your waist and distributes the load effectively to your hips. As a result your waist feels like leaning against the cushion of a business class Emirates flight seat. This pack is highly on the comfort side of the fence rather than ventilation. Not only the hip belt but also back panel felt warmest in this contest. We wouldn't recommend this pack for warm (25+ C deg / 80+ F deg) days if you hate sweating. Harness adjustment to correspond the optimal torso height worked extremely well as it offers more than 10" of adjustment. Still, we'd like to see different size options available for further customized fit (like that of Atmos AG 65). Since it's universal size and must fit everyone from 5' to 6'4", the straps are ridiculously long and flap around unless you're on the taller side. This pack has all the must-have and none of nice-to-have pockets. With the updated 2018 model, now the lid is removable when you need to save weight and it does float to accept more loading when needed. Top lid pockets are standard - an external and an internal - both zippered. Although they both provide more room than other packs in this contest, sleeping bag compartment offers less, but still is perfectly fine to store even a bear canister. Hip belt pockets are great for storing frequently used items and stretch mesh side water bottle holders are HUGE and tight, but not reachable while wearing the pack as they don't offer horizontal installment. Stretch mesh pouch at the front can be used for any smelly, dirty and/or wet items. Main design intentions of this pack are mountaineering and trekking, but it's also a perfect travelling companion. At only 4.39 lbs, it's quite light for its huge 75 liters build while staying very durable against our super cruel treatment. 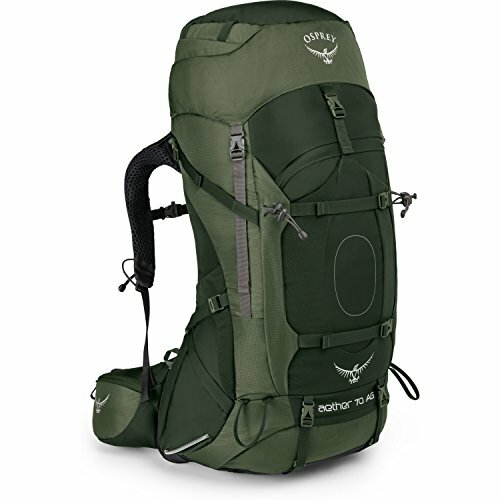 See our in-depth Osprey Kestrel 48 Review. See our in-depth Kelty Redwing 50 Review. See our in-depth Teton Sports Scout 3400 Review.